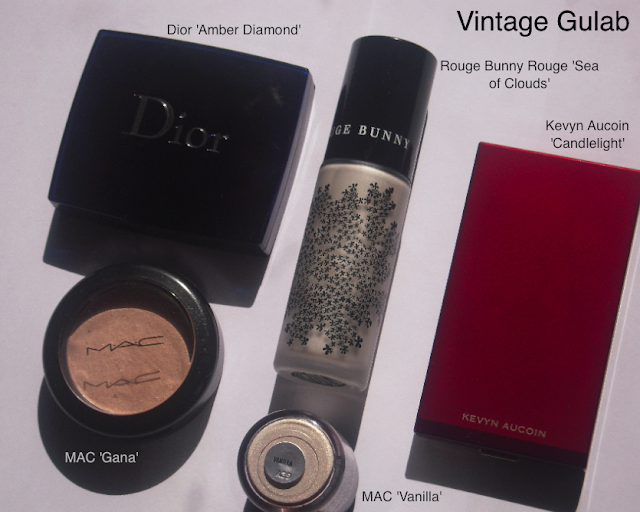 I had originally done a quick sneak-peek of my top five favorite highlighters here. First thing, I keep a small-ish stash so each new addition is well-researched prior to purchase. A highlighter, like makeup, isn't rocket science nor all that serious (ahem) but I have to keep in mind things like storage and clutter. That being said, I have (and prefer!) 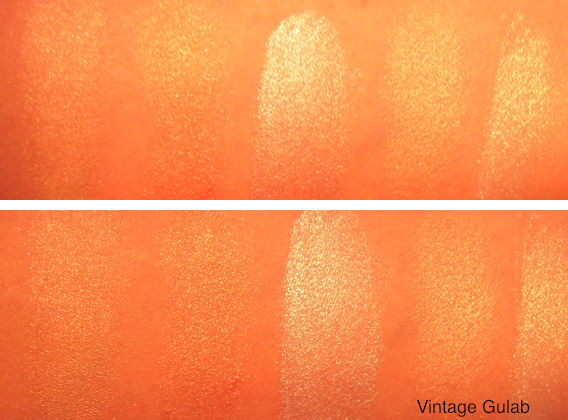 highlighters in three different finishes: loose, liquid and pressed. I like pressed finishes for their ease and fool-proofness but nothing packs on a highlighted-punch like loose or liquid highlighters. 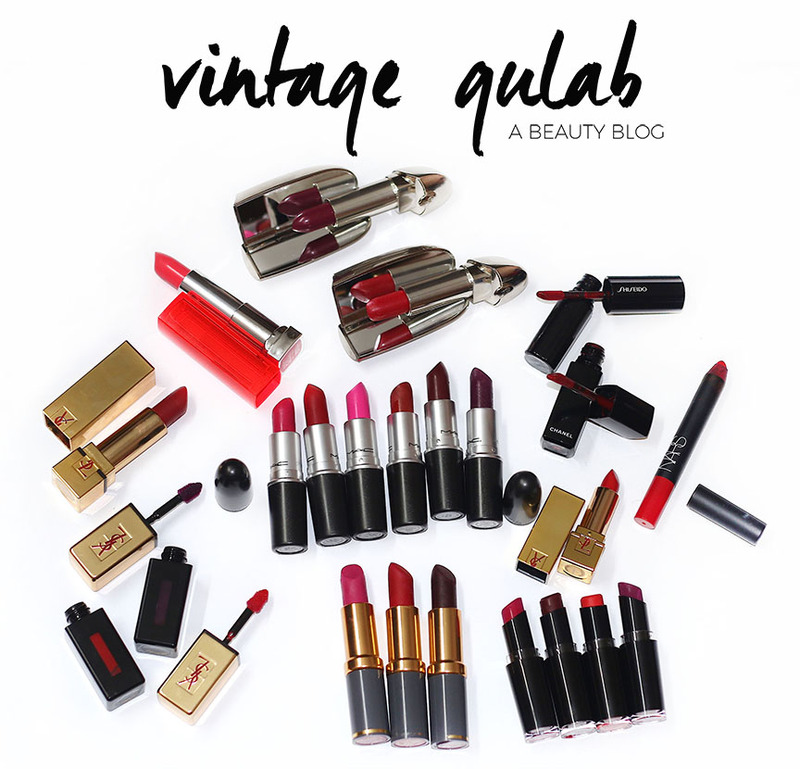 Pressed powders generally diffuse and blend flawlessly, especially when they are milled and packed with just the right amount of "tightness". Even amongst my pressed highlighters I have different finishes which tends to go by how softly or tightly packed they are. 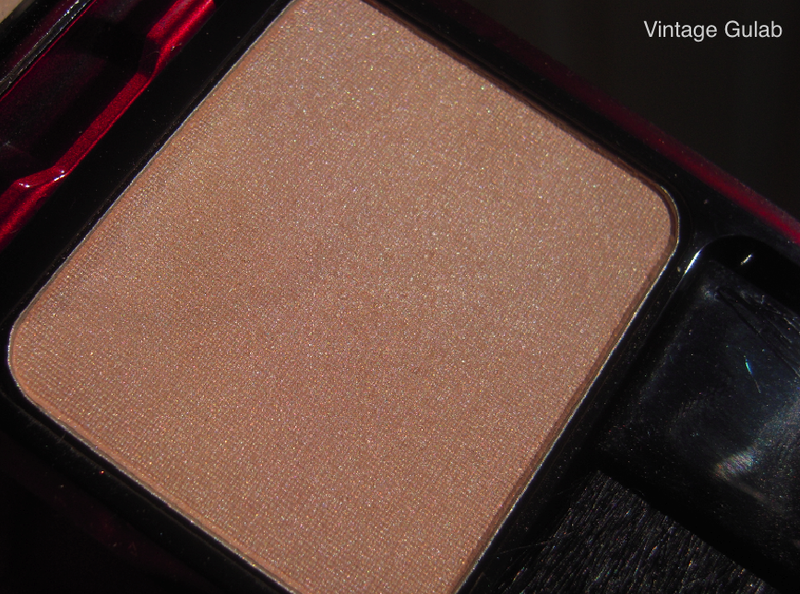 The tighter a powder is packed, the less pigment it picks up which, for me, translates to "subtle". I'll get into this as I get to each individual product. 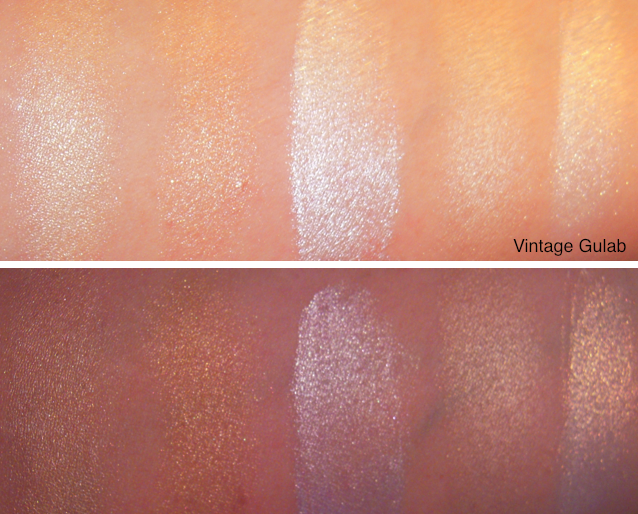 And of course, swatches will be at the end! 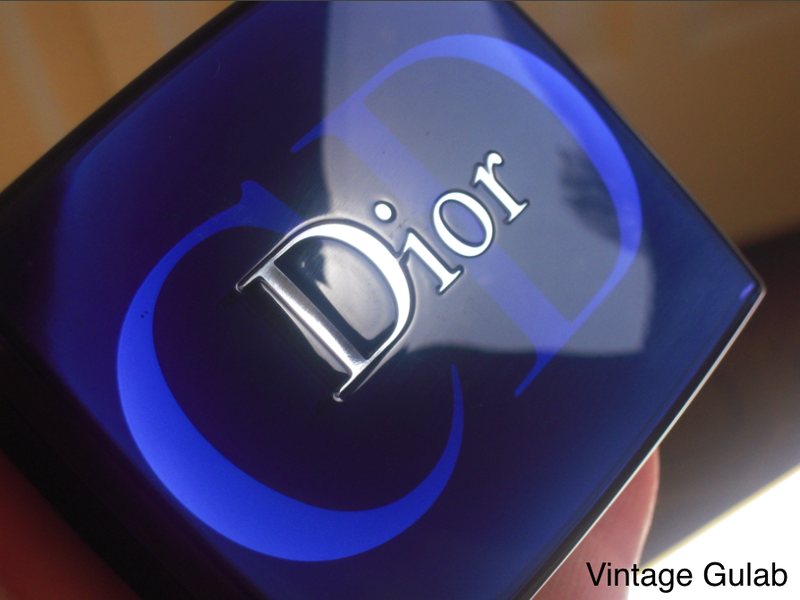 ...Amber Diamond ($44) by Dior. 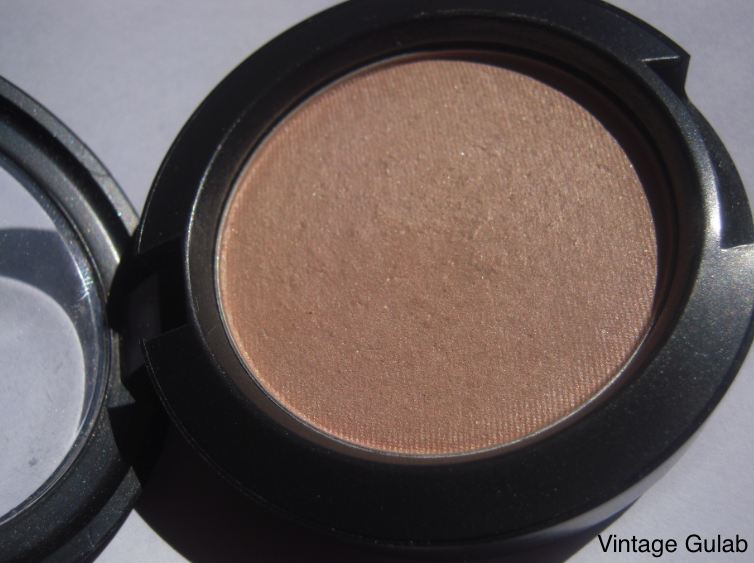 Amber Diamond (bronze-beige with slight pearl) is a beautiful pressed powder with intricate detailing on the powder. The formula is what I would call subtle because even when I swirl my MAC #109 brush onto this, I find it never packs on a ton of powder which I LOVE. It may look a bit frosty from the close up but because of how tight it is packed, this frost translates to sheen on the skin once applied. And because there are 4 different strips within the powder, each strip gives a different color but I generally like to swirl my brush in the whole pan to get the collective color. Amazing for the summer or all year round. 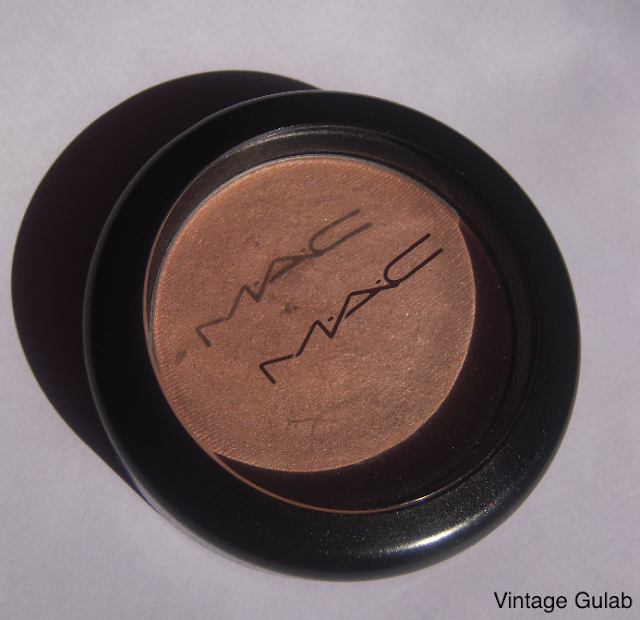 Gana ($18.50) by MAC is up next. I have a soft spot for this because it was a gift from the Mr. was from the Mickey Contractor collection with the names being all in Urdu/Hindi, with Gana meaning 'song'. 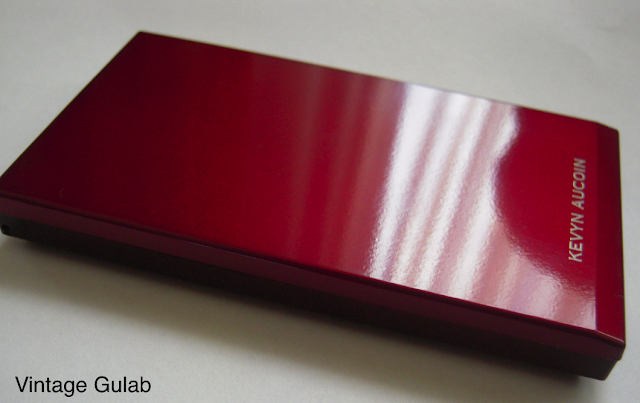 It was limited edition and although the color is beautiful, it still is very easily dupeable. Gana is described as a "bright white gold". Personally, I find it to be a champagne color with the finish being a frost. On the scale of "tightness" it is not as tightly packed like Amber Diamond but still requires a swirling of the brush to get some punch. Because this is on the subtle end, I find this great to tone down harsh blushes or to add a slight sheen on top of really flat or matte ones. The only downside is that because of the weird formula of MAC, it isn't as smooth as I wished it was. It also gets the awkward bumpiness apparent from the picture below. 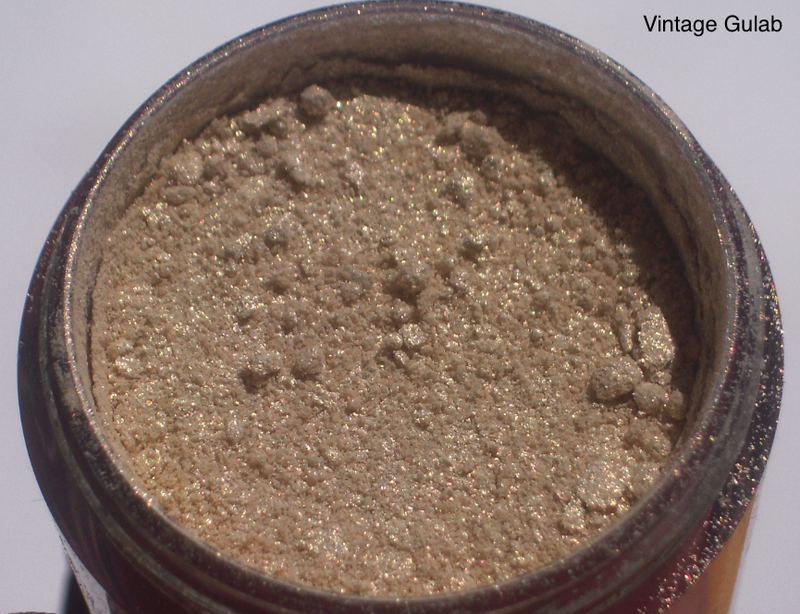 And the last of the pressed bunch is Kevyn Aucoin's Candlelight ($42) which is described as an "ultrasoft shimmer with a soft, golden-apricot hue" and is probably one of the best pressed highlighters on the market. Candlelight is the most softly milled of the three because I could never imagine swirling a brush in this. You literally need the lightest tap of the brush to get enough for both cheeks. I find that for more control, I tend to dab my finger and pat it on instead. 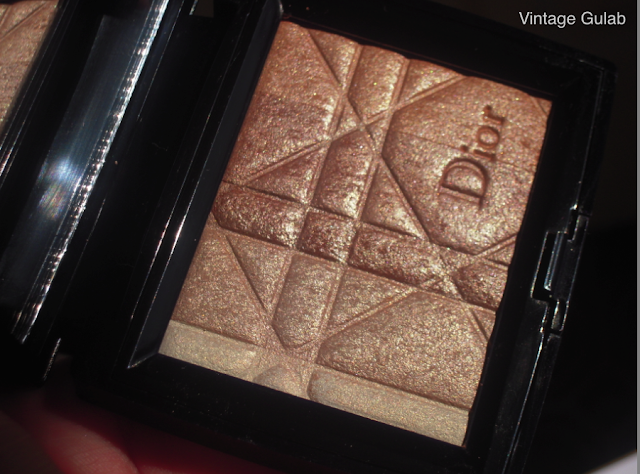 It also comes with a brush but I find it way too scratchy for a delicate powder like this. The finish is extremely sophisticated but still adds a very dramatic sheen. I imagine this would look amazing in photography and could work for most skin tones, especially warm-toned ones. I just love the candlelight-like, soft and delicate glow this gives! One of my favorites. THE END. Rouge Bunny Rouge's Sea of Clouds ($72) is my favorite [liquid] highlighter. I have tried Benefit's High Beam as well but I found the finish to be extremely stark and no way near as blendable and luxurious as the finish of Sea of Clouds. This is reviewed here. Vanilla ($20) by MAC is up last. 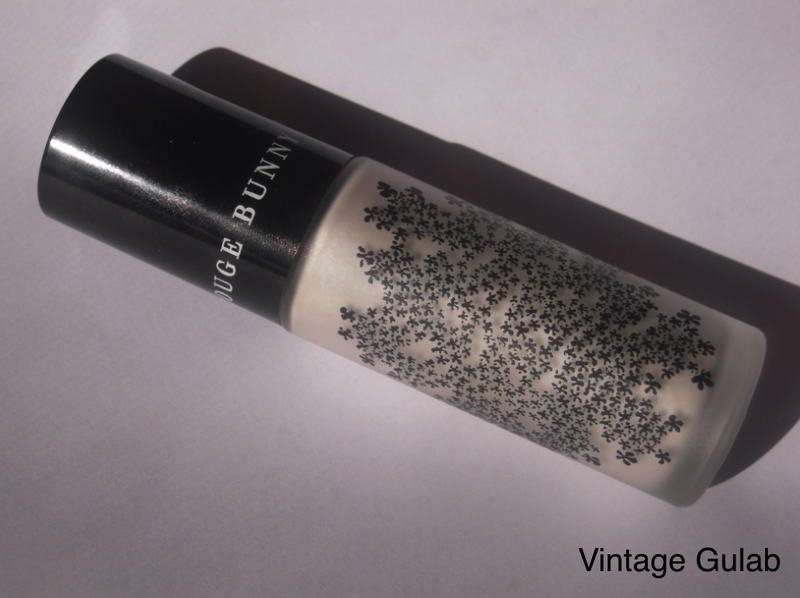 MAC describes this loose pigment as a "soft ivory white" with a frost finish. Vanilla is a beautiful dimensional white and I would definitely call it a duochrome and for that very reason it looks AH-mazing in flash photography. 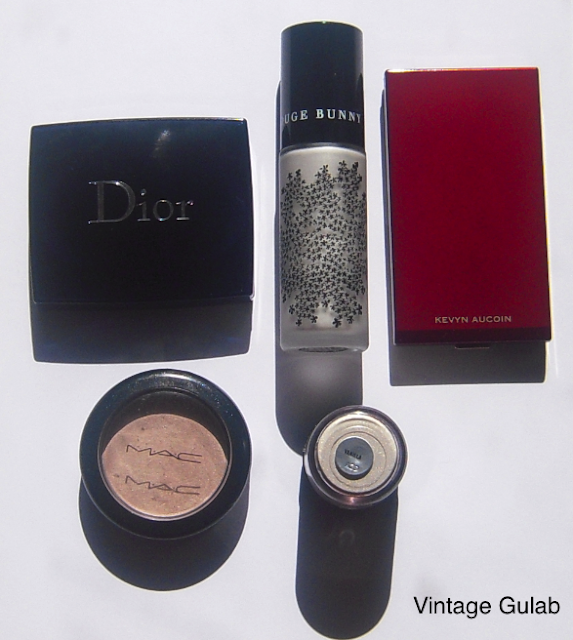 Because it's a loose pigment it can go on VERY strong if the correct brush is not used. I prefer a small fan brush for this like the Laura Mercier Mini Fan brush. I have this in the 7.5g jar (which I had to hunt down with backbreaking dedication since this larger size was long discontinued by MAC) but MAC sells this in the 4.5g size for the same price (?!) and I would highly recommend having this in your collection. I find this amazing on the eyes, especially in the inner-corners, and I imagine this would look amazing as a brow highlight as well. Also, the tiniest amount could be added to foundation to give it a dewy finish. Another way to use this is in a DIY spray which would be sprayed after your foundation + powder to add dewyness all over. 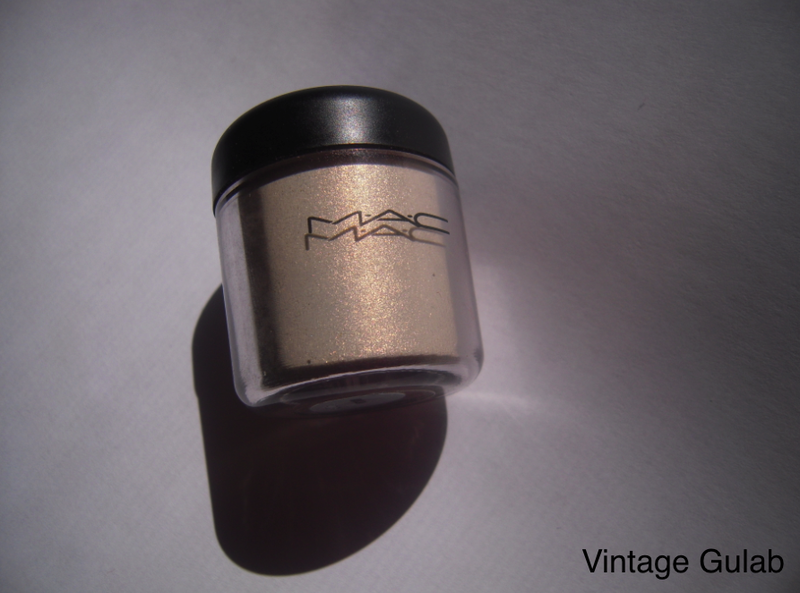 This is probably one of my favorite MAC products which I would buy over and over again if I was to ever run out (no chance).